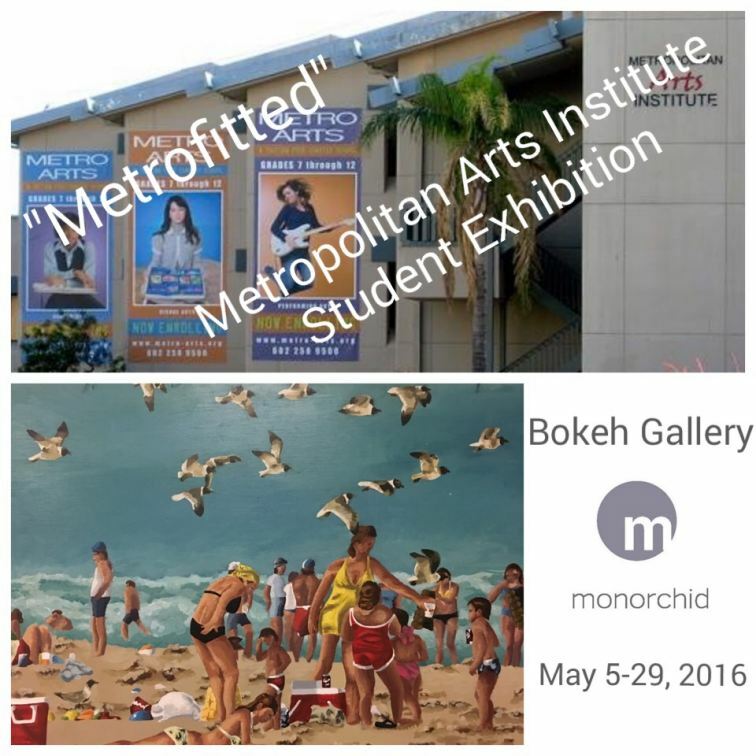 PHOENIX - April 15, 2016 - PRLog -- Shade Projects is proud to present Metrofitted, a small group exhibition of talented students from Metropolitan Art Institute to debut in Bokeh Gallery. The students selected to participate in this exciting exhibition are Brittany Christianson, Katie Menard, Alyssa Anton, and Ann Venezia, under the guidance of Visual Arts Director, Koryn Woodward Wasson. Metrofitted will showcase and eclectic and diverse selection of artwork created throughout the year by these artists. When asked about her students Wasson said, "Our students are asked to push themselves to make work that is earnest and of a high skill level." Metropolitan Arts Institute is a tuition free independent, chartered college prep arts school located in downtown Phoenix, focusing on excellence and authenticity in the arts and general education. "We were thrilled to offer Metro Arts students an opportunity to conclude their senior year with their first art exhibition at the monOrchid", says Shade Projects Curator, Nicole Royse. She went on to say, "We hope this experience and opportunity will ignite their artistic passions further and give them a glimpse into the contemporary art world, as this is part of our mission at Shade Projects". The monOrchid and Shade Projects curator, Nicole Royse will host the Opening Reception on First Friday, May 6th, 2016 from 6-10pm featuring live music from special guests. The closing reception will be on Friday, May 20th, 2016 from 6-9pm. Metrofitted will be on display in Bokeh Gallery at the monOrchid from May 6th until May 29th, 2016.Please visit our website for more information at monorchid.com and all exhibition inquiries please contact Shade Projects Curator, Nicole Royse.